Thanks to their current inverse status, in both popularity and innovation, it seems that more and more “indie” records have been picking up dance music’s mannerisms – while Breton’s sound in 2012 called to mind Tom Vek and few others, their relatively unchanged sound sets of a chain-reaction of indietronica associations this time around, from Everything Everything and Two Door Cinema Club to Foals’ Holy Fire and recent James Blake. Resolutely electronic but retaining an “indie” sensibility, faintly industrial, melancholic; Other People’s Problems was everything you’d ever hoped Kele Okerree’s solo exploits might be – the tragic romance and earworm hooks of early Bloc Party transposed into a dance-centric setting. At the time, an awful lot was made of their being a “multimedia collective” from “South London” who “squatted” in an “abandoned bank” – a great press release has the power to drown a great record. That their current blurb includes the phrase “distinctly un-hipster” is telling in itself. Forget the myth-building and ignore that it was recorded in an old Soviet radio station; Breton have an aggression, a droning abrasiveness, that just about justifies their “being a dickhead’s cool” swagger. They make electronic music with indie overtones, not the other way around, and in so doing, still manage to stand out from the crowd. The excellent ‘S4’ is closer to their early Blanket EP in its production’s ferocity, as off-kilter drums skitter across police-kicking-your-door-in bass, while the Macedonian Radio Symphonic Orchestra lend the band their effortless ambiance of class and Roman Rappak sings a hook straight off Silent Alarm. Similarly fierce is the Chemical Brother-infused, witch-house stomp ‘Got Well Soon’, which brings brain-scrubbing repetition and Breton’s trademark walls of bass together with the edgy, brooding indie of the Maccabees’ ‘No Kind Words’. The gloves are off and it’s genre-meltingly good. Taking the edge of with ‘302 Watchtower’, War Room Stories also ventures into gentler territory, bringing a trip-hop kaleidoscope of wind chimes and squeaked bum notes to create an immersive stand-alone world within the album. Sliding into ‘Brothers’, things become a little sub-par Foals, with Rappak’s wails demonstrating why he usually sticks to staccato pronouncements, and though the spacious, confident instrumentation is only a stone’s throw from Holy Fire’s gorgeous ‘Prelude’, it feels a little derivative. Likewise, ‘Envy’ appears to be a pastiche of Breton’s past work – their trademark production accompanying the nonsensical, facile rhyme “You’re a tourist, there’s nothing wrong with that / But what you never could have noticed is how your bags were packed”. At the other end of the spectrum is mid-album deep breath, ‘Closed Category’. A crisp, spoken sample oozes cool, left-hand piano replaces the usual relentless bass pulse and the guitar lines positively shimmer in their delicacy. Though it’s like nothing Breton have released before, it’s instantly recognisable; an unplugged version of their usual rhythmic gymnastics. 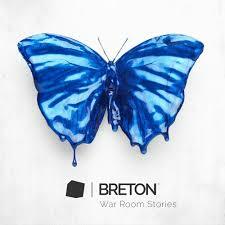 What War Room Stories makes clear is that the way forward is further exploration and boundary pushing. Unsurprisingly, given both their sound and their ethos, Breton are not at their best when static, but rather forging ahead – cramming the bare bones of their sound into new and unsuspecting genres and influences. 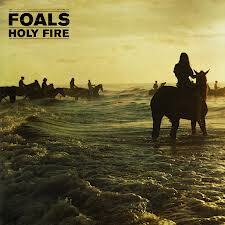 Finally, Rock and Rolle’s BEST albums of 2013, the top five! For numbers ten to six, click here. It’s been a vintage year, but these are the albums I’ve come back to again and again – obsessed over, agonised over, adored. Here’s the order of my list that it’s in. The sequel to a much revered classic by a living legend, MMLP2 had a lot of scope for ending terribly. Instead, we were treated to the best Eminem album in a decade – packed with furious flow, fantastic wordplay and the full spectrum of human emotions. The immediate high of the scattered call-backs to his earlier works remain a thrill; but it’s an album that reveals more with every listen thanks to the sheer complexity of the rhymes. Even just taking phenomenal opener ‘Bad Guy’, hook-laden ‘Rhyme or Reason’, speed-of-light ‘Rap God’ and earworn ‘Dangerous’, this was one of the most impressive and entertaining records around. Forget how many times you’ve heard ‘Get Lucky’ in the last 6 months and remember how you first heard it. A slice of pure, irresistible funk – a perfect pop song? Then mounting anticipation; frantic commentary on the game-changing natures of Discovery and Homework whipped up with a teasing, enticing marketing campaign. Unbelievably, Random Access Memories lived up to all the hype. Prog, funk and jazz, live recordings and not of 4/4 beat to be found confounded expectations, once again throwing electronic conventions out of the window. From the first over-excited stream to the latest replay, this is an uplifting, fresh album, cleverly bringing together the past and future. And ‘Giorgio by Moroder’ was the best track of 2013, which helps. The best guitar-based record of the year comes from Oxford, the formerly spiky mathrockers turned luxuriant indie stadium rockers Foals. Building on the spatial, instrumental expanses of Total Life Forever, their third record saw them hit a new creative peak. It’s an album that creeps out of the speakers, from the slow-burn intensity of ‘Prelude’, through the anthemic ‘Inhaler’ to the sheer pop of ‘My Number’ – a single that demanded sun and bright blue skies. Carefully constructed, Holy Fire yields gorgeous lilting riffs, explosive rhythms and a newfound rock and roll crunch that entirely suits Foals. Beyond the singles, there’s an excess of massive indie to enjoy here. Cutting above Kanye, A$AP, Jigga and the rest, the best hip-hop record for me this year was a free mixtape, from a 20 year old Chicagoan. Yelping and cartoonish, his style brings to mind early Eminem – but there was none of the aggression or insanity that characterised Slim Shady present here, but more the anti-gangsta analysis of Kendrick and early Kanye. Those are some colossal comparisons, but if Chance isn’t a household name by 2020, I’ll eat my blog. Alternately woozy and cartoonish, Acid Rap was off-the-walls, ADHD bursting with ideas and pop hooks. Infectiously good-natured, it will soon have you grinning and languidly struggling to keep up. Much as I am loathe to agree with the Mercury Prize, James Blake came a long, long way in 2013. Long gone is the dubstep, as is the taut, silent spacing of his 2011 debut. Instead, he brought us a disjointed, incredibly emotive brand of electronic soul and R&B, with both the trademark dubby shakes and voice-cracking melodies still present. Fragile beauty and a sense of yearning dominate Overgrown, but the songs are, for all their complexity, ridiculously hummable. There’s no doubt Blake is taking himself seriously, but the intimacy of ‘Retrograde’, ‘Life Round Here’ and the rest is utterly immersive; sensual, intricate, and like nothing else you’ve heard this year. Take the nervous energy of Antidotes, the blissed-out instrumental beauty of Total Life Forever, and add a pinch of rock and roll grit, lashings of luxuriant production, and all the confidence that comes with making an album which is the sum of all your past achievements. Foals are back, and Holy Fire is so good that second titular word could easily have been another, more explicit, four-lettered word. It begins with a slow, languid show of force – ‘Prelude’, an introductory instrumental, which casually shows off a glimpse of what is approaching. It’s a thoroughly confident move and, despite the potential for an epic jam, one that is carefully restrained. Next, the tropical guitars and jittery ADHD percussion of first single ‘Inhaler’ heralds much of what is yet to come. A crunching rocky riff is laid over the tropical indie, which calls to mind Friendly Fires or ‘Shuffle’ era Bombay Bicycle Club, and Yannis brings out a Jack Black-impersonating-Robert Plant wail – it’s a belter. It’s a hell of an opening, but impressively Holy Fire manages to keep to its own high standards. ‘Milk and Black Spider’ is an absolute earworm, with dizzying spiralling guitars conjuring visions of wide, expansive skies (which should be good for their Coachella appearance). Elsewhere, ‘My Number’ is equally catchy, an unstoppable bubblegum pop-rock lilt which leaves you confused – should you disco dance or head bang? And it’s not only the hooks that work well. Foals proved irrefutably on Total Life Forever that they pretty good at ambient instrumental beauty, and none of that has been lost in the intervening years. ‘Bad Habit’, the album’s first real breathing space, is a remarkably upbeat ballad, despite its grim lyrics whilst closers ‘Stepson’ and ‘Moon’ are elegiac and emotive, though understated. Full of huge hooks, instantly memorable lyrics and with rich, honeyed production, Holy Fire’s echoing drums, fingerpicking, and beefed bass come together to form an excellent album. Though they’ve thrown in everything they have, Foals have managed to avoid overstating and have had the confidence to showcase their range of talents. A good year for different, intelligent guitar-driven indie so far.